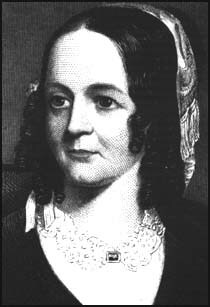 For 17 years, Sarah Josepha Hale wrote five sitting Presidents to advocate for a national day of Thanksgiving that all states would celebrate on the same day. Here, from “Christian Answers.net”, is the official proclamation from Abraham Lincoln. It was this proclamation which eventually led to the establishment of our national Thanksgiving holiday. Brother “Alim” lives in an Arab nation where Bible distribution and evangelism remain extremely difficult and dangerous. Entering some areas is nearly impossible due to the harsh landscape. However, with God, all things are possible. 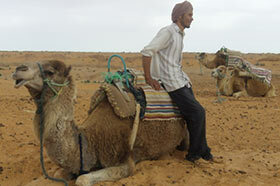 Alim is now actively traveling to share the gospel with the help of a camel purchased by The Voice of the Martyrs. 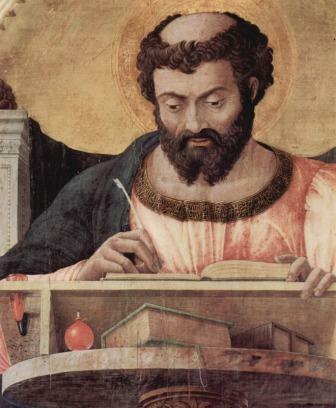 Persecuted Christians have always found unique ways of spreading the gospel and The Voice of the Martyrs has always appreciated their God-given creativity as they work in restricted and hostile nations. Some use animals to skirt border guards to deliver Bibles into closed nations. 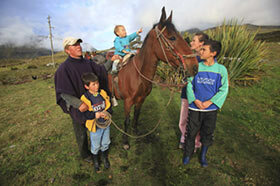 Our co-workers in Colombia use high altitude horses to reach the guerilla camps and remote villages on mountaintops. 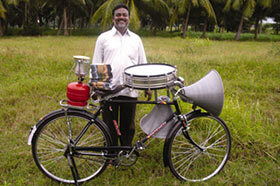 Pastors throughout Asia and India use bicycles often outfitted with sound systems, musical instruments and literature to share the gospel throughout their nation. 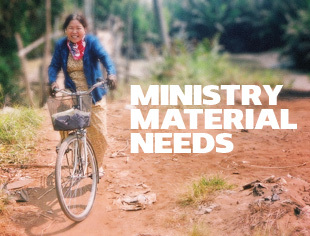 Would you like to help sponsor a camel, a high-altitude horse, a bicycle or other unique tools for evangelism in today’s restricted nations? This is an incredible story, and an inspiration to all of us. The name Mary Webb is almost unknown among Baptists. 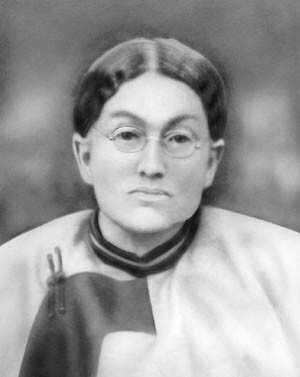 However, this tiny little woman, confined to a wheel­chair, probably did more than any other woman to arouse the Baptist denomination and make them the most missionary-minded group in modern history. Mary Webb was born in 1779 in Boston, MA. When she was about five, she contracted an unknown and usually deadly disease. The doctors were certain she would not sur­vive. Miraculously she recovered; however, her illness left her hopelessly crippled. Sadly, Mary’s father died when she was 13, leaving the family in a dire financial state. It was at this time that a neighbor, Thomas Baldwin, pastor of Second Baptist Church, took a special interest in the Webb family, espe­cially little Mary. As a result of Pastor Baldwin’s compassion, Mary began attending Second Baptist and after several discussions with Pastor Baldwin and a careful study of the Scriptures, Mary, at the age of 19 ,made a public confession of her faith and was bap­tized. Pastor Baldwin was an ardent supporter of home and foreign missions, and Mary caught her pastor’s vision, and after reading a missionary sermon she approached him with a plan she believed would aid the missionary cause. In the 18th and early 19th century, it was almost unheard of for women to take an active part in church affairs. Thank­fully, Pastor Baldwin was a man of vision, and he not only listened to Mary’s plan, he encouraged her to proceed with her dream. Mary Webb may have been crippled, but she pos­sessed a brilliant mind and the determination to implement her dream. She convinced 13 women to join her, and in 1800 they organized the Women’s Foreign Missionary Society. Initially, the society’s goal was to contribute funds for the distribution of Bibles and gospel literature. 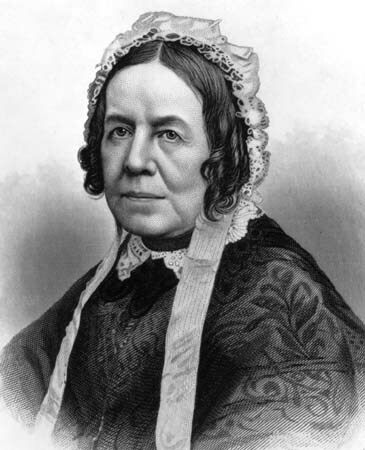 However, Mary Webb and her ladies, seeing the enormous need of Boston’s neglected poor and discarded women and children, were determined to minister to their needs. Acting upon their faith, they employed a missionary to visit and to minister to Boston’s poor. Mary Webb and her ladies assisted in estab­lishing in 1803 the Female Cent Society and the Children’s Cent Society in 1811. The objective of these societies was for each member to contribute one cent a week to missions. In 1811 Mary Webb assisted in founding the Corban Society that raised money to help educate worthy but poor young ministers. In 1812 they established the Fragment Soci­ety that collected clothing and bedding for needy children. The society also provided a day care for the children of work­ing mothers. In 1818 Mary Webb led in the founding of a female refuge to help rescue women who were enslaved by alcohol and immorality. In 1825 she established a free school for girls whose parents were too poor to pay for their education. Perhaps you are think­ing with all these extra activi­ties Mary Webb would have little or no time for her local church, but the opposite is true. Only sickness could prevent her from occupying her place on Sunday. In 1816 Second Baptist established a Sunday school, and Mary Webb was chosen and served for many years as a superintendent. Almost everyone living in Boston was familiar with Mary Webb. She and her wheelchair were a familiar sight on the streets of Boston as she visited the sick, the dying, and the poor bringing food, clothing, compassion, and hope. But per­haps her greatest contribution was the impact she and her ladies had upon Baptist women. Through Mary Webb’s influ­ence, hundreds of female societies sprung up all over Ameri­ca. These ladies looked to Mary Webb for advice and counsel in duplicating her work in Boston. Mary could not travel, but she wrote thousands of letters of encouragement and coun­sel. Mary Webb faithfully served her master for over 50 years and in 1861, at the age of 82, she escaped her frail and broken body. This is a great FREE online resource for all of us who love literature. Read books, essays, reference works, poems, short stories, quotes … and yes, they do have religious books and writings for you to enjoy. You can search by author, etc. They also have some great quizzes to test your knowledge of authors and literature. House of Hope – Nicaragua | The Pursuant Blog. Tagged house of hope, ministries we support. 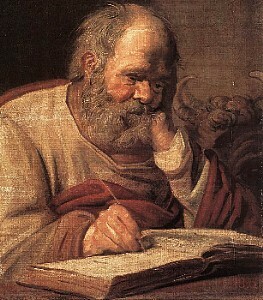 Tagged Christian history, Christian life, online Christian resources, words for daily living. 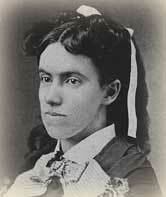 Extraordinary Lottie Moon Reached China – 1801-1900 Church History Timeline. Tagged Christian history, heroes of the faith, words for daily living.